The industrial revolution began with the mechanisation and thus automation of the tasks of the workers in order to improve their efficiency and effectiveness. The same principle was applied when the first IT systems where introduced. Their main purpose was to automate a specific business process or activity and to improve the efficiency and effectiveness of this process or activity. 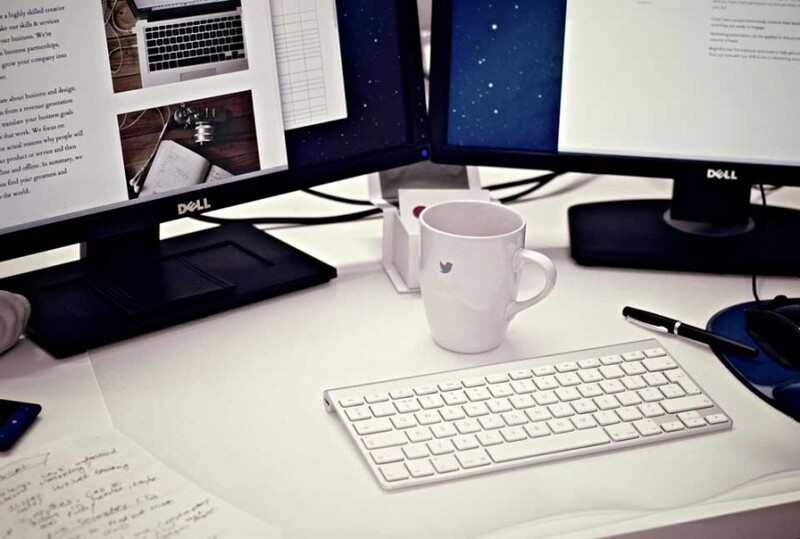 The personal computer assisted calculations and document editing tasks and the ERP systems assisted specific resource planning activities. Information exchange was often cumbersome and limited to an absolute minimum as the software solutions’ prime focus was the core task, and not the integration or the interfaces. A good example of this approach towards integration is the evolution of EDI protocols. Very few companies considered using integrated supply change EDI-item-grammar as their internal storage semantics. For most retailers the EDI is first streamlined, but then internally mapped to a multitude of different structures that support sales, logistics, marketing etc. Clearly a missed opportunity for rationalising the complex landscape of the disparate applications. Not only is the information flow hindered by this approach, as very often the ability to combine a set of activities into a consistent end-2-end workflow was not an objective of the technology solution. Yet another reason why chain processes, such as Purchase to Pay or Order to Cash, prove to be difficult. The strong focus on the automation resulted in application silos that covered the needs of the business process, but didn’t consider the consistency of information across the different silos. The latter was often not an issue, as companies often have functional silos that fail to recognise the underlying information objects. As the ERP vendors have levelled the playing field in many industries, the efficiency of the automation no longer suffices to gain a competitive advantage. Software becomes a commodity and people move to a reuse, buy and only then build model. Having efficient automated processes is therefor no longer a key differentiator in most industries. The focus shifts towards effective and efficient chain processes, such as O2C (order to cash), P2P (Purchase to Pay), and more importantly in the context of information management the fact that we can maximise the insight that can be obtained out of the data at hand. This information centric approach has to battle the years of process focus that led to a data landscape that is primarily application driven. The result is islands of data that don’t align with the information boundaries. Duplication and inconsistencies are often the result. The answer to this challenge is the isolation of the information centric business functions and to expose these, independent of any specific business process. The latter is exactly what the current wave of “Master Data Management” software solutions tries to achieve. They either solve the inconsistency issue through cleansing and transformation, or they deliver the full set of create, update and delete services. 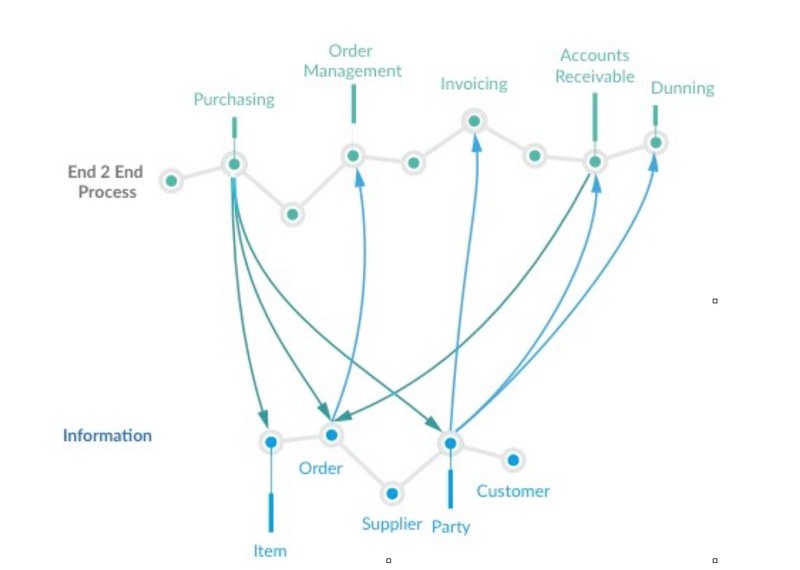 Even in an information centric model one can expect that a large portion of the business interaction will still be performed from a business process specific point of view: the purchasing department interacts with suppliers and the sales department deals with customers. Often a limited set of functions will understand that the underlying object, being a legal entity or natural person, is the object that is actually maintained. The true challenge is to identify the added value or risk involved when the link between the customer and supplier viewpoint is ignored by the organisation. An information centric organisation can only be achieved if the data, regardless of its appearance, is managed as an asset. You can’t simply buy technology to instate “information as an asset”, as it would require that all stakeholders act according to the relevant information policies. You can’t achieve accuracy and trust if all steps in the information flow don’t provide the required consistency. Proper information management and insights have become a linchpin that acts as a catalyst for the execution of your business strategies. Linking the information assets and the business strategy is the basis of your information strategy. If you can’t define the correlation between improved information management and better insight, there won’t ever be a business case, nor support for your initiative in the organisation. The value of information is very business domain specific, as it always originates from the capability to use the information in support of a business function. There are many examples of business functions that benefit from increased information accuracy and trust. The role of the information strategy is to describe the cases where improvements will be beneficial and use this as the primary driver for the investment roadmap. Your Chief Data Officer can fulfil this function. An emerging role in many organisations, as information was not necessarily recognised in the past. If it is unclear how information could generate value, you are likely missing the required innovation to make this happen. Rightfully the CDO often also has the mission to focus on innovative ways to monetize data or to increase the benefits obtained from the current data. The person creating the data is seldom the one that gets the most value out of it. A lack of common meaning results in broken End-2-End information chains, loss of value and business risk. Business process flows seldom correlate with information life-cycle flows. Not describing the information landscape results in a lack of understanding, and lack of consistency in the accuracy requirements. The net result is total lack of trust, several remediation points, and a poor operational efficiency. The information architect would have to make sure we understand the ins and outs of the information flows and the relationship with the data stores. This landscape provides fundamental input to the information strategy as the architectural weaknesses become apparent. Getting people to act according to the global information accuracy and trust objectives is a very difficult matter if they fail to see the whole picture. Often people don’t handle the information appropriately because there doesn’t seem to be an apparent need in the context of their own business process. “Think before you act.” The current maturity needs to be taken into account when implementing change. Your approach should be issue centric, and not merely copying the book. There is no point in change for the sake of change. The baseline of data incidents, quality and general policy compliance is a fundamental starting point for every information strategy. Organisations have the tendency to compensate for their inefficiencies. A formal baseline linked to the business benefits is a superb instrument to make the business case visible. When linked to the proper business drivers, it also allows monitoring the effectiveness of your information strategy. Every datapoint that is kept is obviously liability. Deciding to maintain information should not be a decision that is taken lightly. Depending on the update frequency, it might prove to be expensive or virtually impossible to keep your data consistent with reality. There has to be clear business value whenever maintaining data. Having the right process, tools and policies to deliver the right quality level is essential for information life-cycle management. Often information management initiatives fail whenever the scoping is not done properly. Focus is put on irrelevant datapoints, resulting in huge budgets and very late delivery of the benefits. The information strategy needs to focus on the information that can be maintained at a proper accuracy and trust level, with a cost that is lower than the benefits. Proper scoping and understanding of the benefits and the information quality decay frequency is thereby key to a successful information strategy execution. Technology evolves at an amazing speed. So, get required time to market and obtain your ROI by using the right tools for the job. What capabilities are you missing? Investing in the right information management capabilities is required to keep the information correct, at an acceptable cost, and also to drive the necessary innovation that will create the data insight and business value. You information strategy therefore requires a technology capability roadmap angle to achieve the effectiveness that yields business benefits. This logic should however not be reversed. Just assuming that technology is the way out of every information management problem often proves to be the wrong angle. Jan will present the full information strategy methodology with practical examples and guidelines in a two day seminar “Defining and Executing Your Information Strategy”, scheduled on 24-25 September 2015 in London. Jan Henderyckx, a highly rated consultant, speaker and author who has been active in the field of Information Management and Relational Database Management since 1986. He has presented, moderated and taught workshops at many international conferences and User Group meetings worldwide. Jan’s experiences, combined with information architecture and management expertise, have enabled him to help many organisations to optimise the business value of their information assets. He has a vision for innovation and ability to translate visions into strategy. A verifiable track record in diverse industries including non-profit, retail, financial, sales, energy, public entities. Contributed to better streamlined and higher yielding operations for some of the leading businesses through a combination of creativity, technical skills, initiative and strong leaderships. He is a Director of the Belgium and Luxembourg chapter of DAMA (Data Management Association) and runs the Belgian Information Governance Council. He has published articles in many leading industry journals, and has been elected to the IDUG Speakers Hall of Fame, based upon numerous Best Speaker awards. Jan is Chair of the Presidents Council DAMA International.